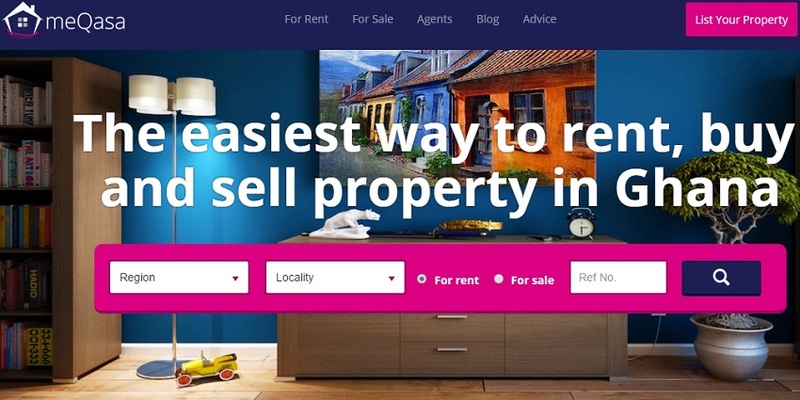 Ghanaian startup meQasa, a web and mobile based real estate platform, has raised US$500,000 in funding from Malaysia-headquartered global VC firm Frontier Digital Ventures to boost its bid to become Africa’s Zillow. meQasa is a portfolio company of the MEST incubator in Ghana, while Frontier Digital Ventures has a number of investments in online classifieds and marketplaces in South Asia, Central America and Africa. The investment will be utilised to expand meQasa’s sales and marketing outreach, and accelerate the development of its mobile and web service experiences. “Over the last two years, we have built the meQasa platform and underlying technology to be a leader in the real estate classifieds market in Ghana,” said Kelvin Nyame, chief executive officer (CEO) of meQasa. Frontier Digital Ventures CEO Shaun Di Gregorio said his company was delighted to be partnering with meQasa, which it said has a strong platform in place and is quickly progressing in a dynamic market in West Africa. “The combination of our own online classifieds experience across emerging markets, along with meQasa’s passion and commitment, makes for a powerful combination and opportunity to build an industry leading business in Ghana and beyond,” he said. meQasa’s free service helps brokers, landlords and other real estate industry professionals conduct business efficiently online, while also simplifying the search experience for prospective tenants and buyers.